I can't speak for Caitlin, but my new thing is herbal infused cocktails. I love 'em. Herbs lend so much flavor and balance out tart or sweet cocktails. I'm going to make some lavender thyme lemonade (yum). To get me in the mood, I started scouring the blogosphere for some out of this world, wet your whistle Wednesday cocktails. WAHOO. 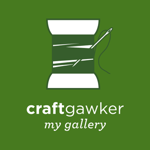 Check out Bowllicking's Rosemary Rhubarb Grapefruit Cocktail. 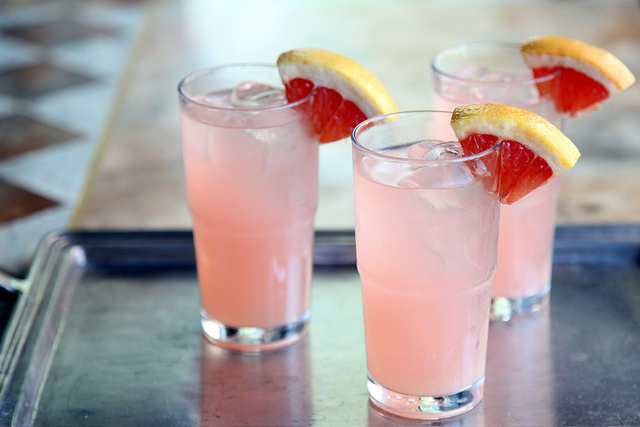 I love, love fresh grapefruit juice. My gal pal Lauren got a juicer for her wedding and a couple of months ago, she made me a Greyhound with fresh grapefruit juice and vodka. Absolutely ridic. I love the idea of adding rosemary and rhubarb for a sophisticated, yet unpretentious twist. Yowza! 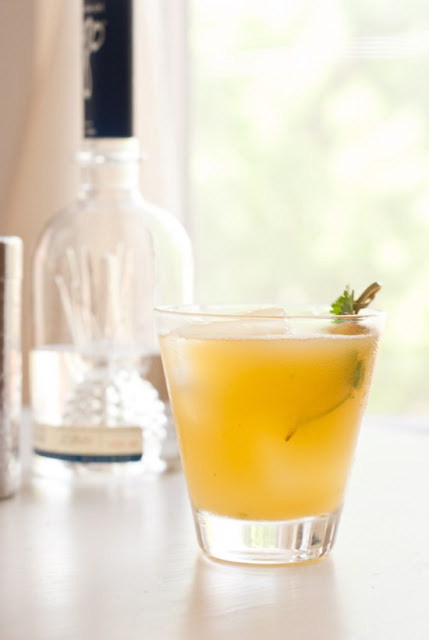 Check out Cookie + Kate's super unique, super drool worthy Pineapple Cilantro Serrano Cocktail. I would never had thought about using cilantro in a cocktail but why not?! What about a salted rim with chili powder? There's a restaurant in Chicago that serves their pineapple margs with a spicy salt rim...I think we're on to something. Hey! Urban Baker! 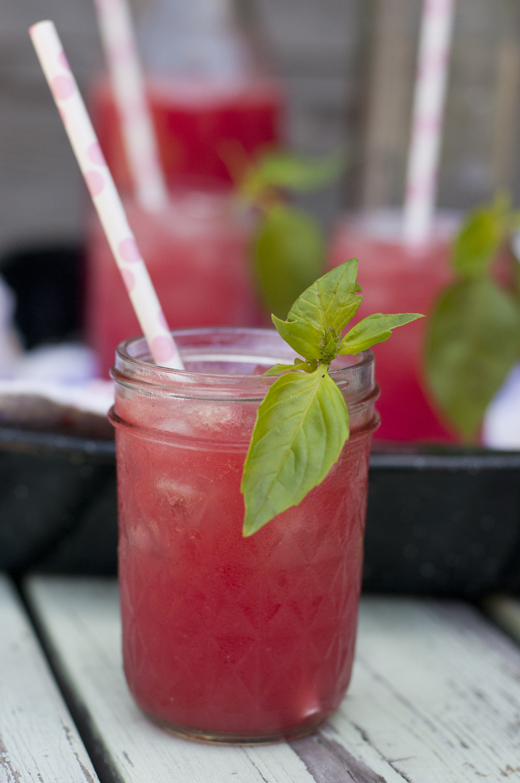 How did you know I was thinking about a Watermelon Basil Cocktail? And you make it fizzy? Be still my little lushy heart. DUDE. I can't get over this one. 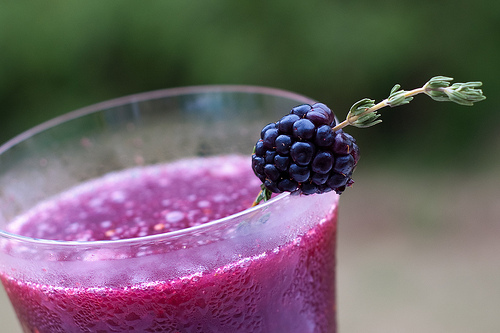 Pink Parsley's Blackberry Thyme Margaritas are just what this hot July is calling for. I could drink, oh I don't know, 10 billion of these. YUM. 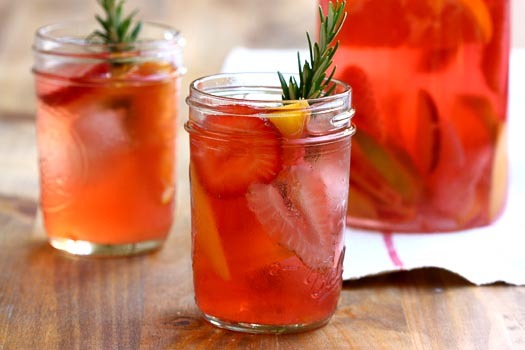 Last, but certainly not least, how about some Strawberry Rosemary Sangria courtesy of A Cozy Kitchen? I love how fresh and organic and delicious this looks...I bet the mason jars make it taste even better. This reminds me of homemade strawberry jam. How summery. Whew. That was hard work. I need a drink. What do you guys think? Stay tuned for some of Hardly Housewives' very own summer cocktails...stay thirsty and don't forget to stay hungry! geez these all look so good I cant waiy to try them! thanks for posting!